Well, almost. In these few hours left to 2017, I plan on packing away the holiday decorations and getting my calendar all ready for the next 12 months. Then I’ll be celebrating the New Year with friends at a local bowling alley, unless the sub-zero temps cause us to hibernate at home with plenty of snacks and beverages as we watch a good movie and the ball drop at midnight. How do you like to celebrate the start of a new year? 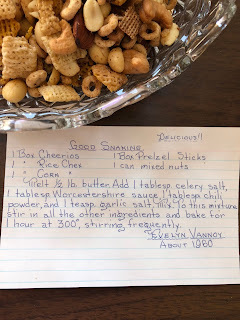 If having people over is in your plans, then you’ll want to try out this Good Snacking recipe from my maternal grandmother, Mamaw’s, recipe file. She actually named the recipe “Good Snacking” and noted on the card it is “Delicious! 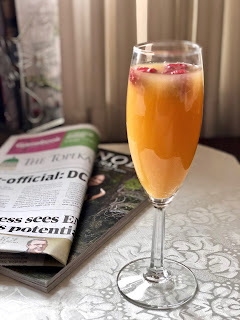 !” It’s a recipe she got from a friend around 1960 and has been in my family ever since. My mom makes it each year to give away at Christmas, and I always request a huge bag full of the crunchy, tasty stuff! 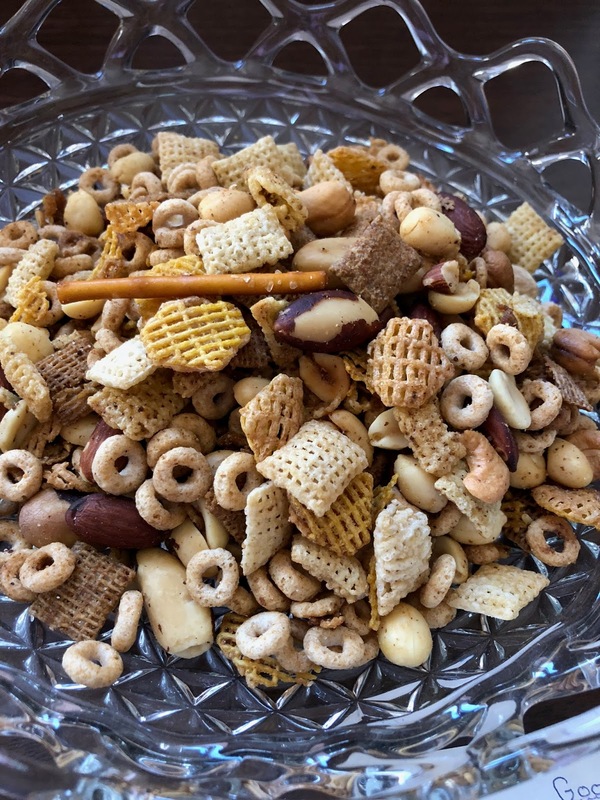 When you first look at this recipe, you’ll think it’s Chex Mix. While it’s similar to the original recipe, the seasonings are different enough to give it a unique taste. And, trust me, it is way better than anything out of a bag! This is the perfect snack for any gathering, be it ringing in the New Year, cheering on your favorite football and basketball teams, or watching the upcoming Winter Olympics in February. How do you plan to celebrate the start of 2018? I’d love to hear your plans in the comment section!